Prospect Visual Arts offers art classes for youth ages 10-18 who are interested in drawing, painting, printmaking & improving their art skills while having fun! Art camp runs for 2 weeks in July, Monday - Friday, 10am-3:30pm and classes during the school year take place on Sunday afternoons. All class series finish with an exhibition of student work. Class size is limited to 12 students and attention is given to each student's various abilities and goals. Joyce is a certified art teacher with almost 20 years of experience teaching art to beginners and advanced students. 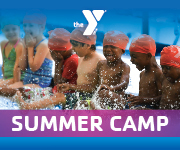 10% discount for PSP Members, siblings and students who register for both summer sessions. Private / small group sessions are also available. Classes are held at Prospect Range Arts Space in Windsor Terrace: 1226 Prospect Ave, Brooklyn.